UPDATE: Follow-up totals from Special Olympics Michigan have KCC’s final team total coming in at $5,955.66. Great job, Bruins! Kellogg Community College’s Battle Creek Polar Plunge team raised $5,955.66 $5,588 to benefit Special Olympics Michigan earlier this month, more than five times the amount of the second-highest fundraising organization who participated at the Jan. 17 event and nearly 70 percent of the total $8,008 raised. More than 200 supporters lifted the College to the No. 1 spot among donor organizations, while more than a dozen KCC students and employees — including many cadets from the KCC Police Academy — took the plunge. See several photos from the event in the College’s 2015 Battle Creek Polar Plunge Facebook gallery. The Battle Creek Polar Plunge is affiliated with the grassroots Law Enforcement Torch Run event, through which law enforcement and corrections officers raise funds for and create awareness of Special Olympics Michigan year round. 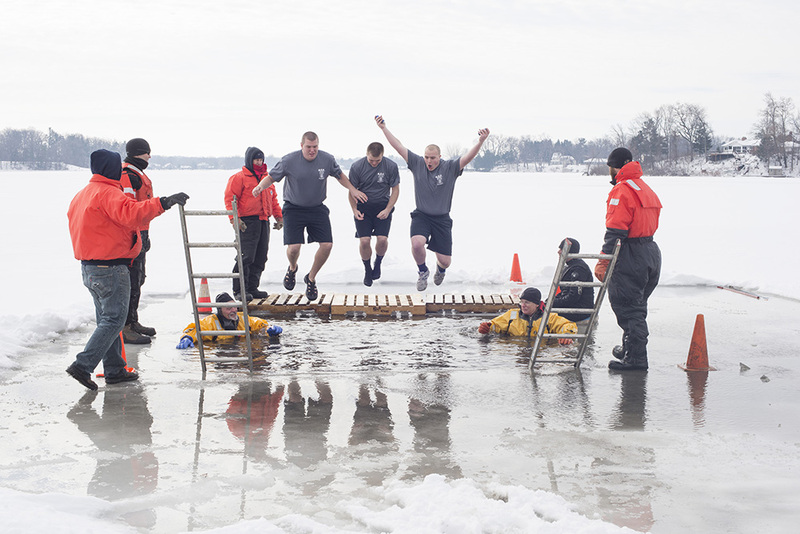 KCC has fielded a Battle Creek Polar Plunge team each winter and hosted Law Enforcement Torch Runs starting from campus each fall for several years, led by the College’s Police Academy Manager Rob Miller. For more information, to register as a fundraiser or to join KCC’s team online, visit www.firstgiving.com/polarplunge/BC15.